Five simple changes you can make to your site that will get your inbox pinging with new leads. What do you want your website to do? If you’re hoping a visitor will pick up the phone to you after being wowed by your amazing site, then you may be disappointed. It’s just too big an ask for someone who is probably just browsing at this stage. I talked to an agent yesterday who gets on average 7,000 unique visitors to her site each month, but couldn’t remember the last time she received a completed contact form. So where is everyone going?? The problem is, they are invisible to you; passing through your site unseen, with no way for you to reach out to them. So what can you do to get them to pause, and make contact? 1. Add a ‘subscriber briber’ to your site – this could be an ebook, a video course, or even a checklist they can download. Anything that is valuable enough for them to give you their email address in exchange for it. 2. Add a sign-up box to each page of your site, so wherever they are, the sign-up is only a click away. 4. Make the most of your ‘Meet the Team’ page – this is usually the most visited page of your site, after your home page, so make sure it works for you. Add photos of your team, fun bios and an email link to each person, with an invitation to get in touch. 5. Create a satisfying journey – what does someone visiting your website see when they first arrive? If they are a vendor, or landlord, what information do you have for them? Make it ridiculously easy for them to keep clicking > reading > clicking, and create a desire to start a communication with you. 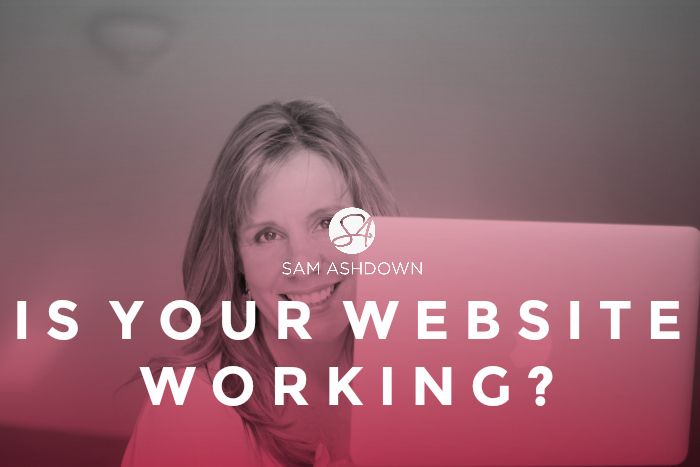 I’ve looked at hundreds of agents’ websites, and not once have I seen one that has all these five elements, so you have a fabulous opportunity to get your website working for you, before your competitor beats you to it! Your IMPLEMENTATION plan to make sure you get things done! To get my insider marketing strategies to SMASH the competition, click to book your spot NOW! There will NOT be a recording of this free training, so make sure you show up! What to do next: Sign up for the free training! Speak to Sam: If you already watched the webinar, or can’t make this one, and you’d like a chat about if and how I can help you get through more doors, here’s the link you need so I can find out more about you! Previous post What makes a GREAT estate agent? Next post Which supermarket are you? life, regardless of whether you work or not. Basically it is an introduction you write online to let people know about yourself.